With Quicksilver Recycling Services, your retired electronics / IT equipment will be managed in an environmentally sound, secure and economically viable way and every possible precaution is taken to ensure your data security through process-controlled data destruction. 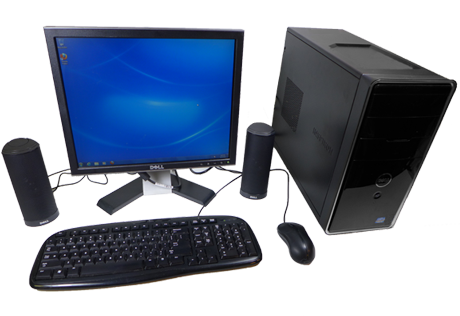 Quicksilver Recycling Services provides you with that needed assurance through permitting and conformance that your retired electronics / IT equipment will be properly managed in compliance with the latest industry standards and all federal, state and local regulatory requirements. Retired equipment that is obsolete or is directed by the client to be recycled or destroyed will be completely dismantled in Quicksilver’s Tampa, Florida facility in compliance with the latest industry standards and all regulatory agency requirements. ​All downstream materials including: circuit boards, glass, plastic, etc, will be sent to qualified domestic downstream vendors for further processing and refining. No equipment will be land-filled or incinerated nor will intact nonworking equipment be exported to developing non-O.E.C.D countries. A certificate of recycle / destruction is provided once your equipment has been processed. The need for data security affects all organizations. It is critical for companies to protect against a data breach. Unsecured data may lead to identity, intellectual property and trade secret theft or result in regulatory noncompliance, all of which can cost an organization millions in lost revenue and result in significant regulatory fines. Simply deleting data from a hard drive does not destroy the data: it only removes it from sight. With the regulatory privacy laws that exist today including: HIPAA, Gramm-Leach Bliley and Sarbanes-Oxley, an organization’s exposure to a data breach will result not only in significant regulatory fines, it will also be subject to public scrutiny. Quicksilver Recycling Services successfully provides data destruction services for virtually all types of industry including: Healthcare, Financial Services, Legal, Government and Education. A certificate of destruction is provided once your equipment has been processed. 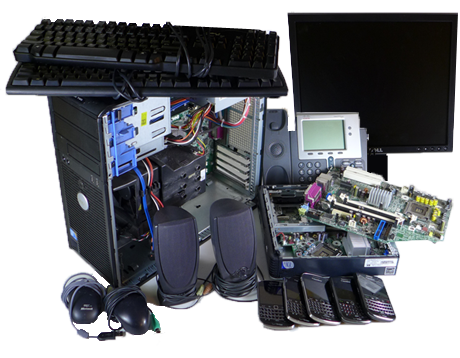 Quicksilver Recycling Services can assist with the logistics management of your retired electronics / IT equipment from collection at your locations to managing special events. 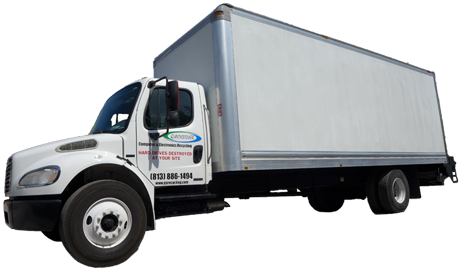 Quicksilver Recycling Services can provide trained personnel to pack and palletize equipment along with making transportation arrangements using either Quicksilver’s trucks or third-party freight companies. If retired equipment is of later technology, considered reusable, in working / complete condition and is allowed by our client to be sold, Quicksilver will either purchase that equipment from you outright or a revenue-sharing program may be considered, ensuring a maximum value return. 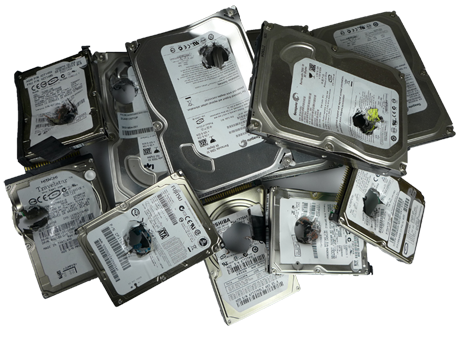 Quicksilver Recycling Services will sanitize hard drives, test and certify the reusable equipment. Reusable equipment will then be sold through either internet, wholesale or retail channels. A certificate of reuse is provided once your equipment has been processed. Quicksilver Recycling Services has partnered with Computer Mentors Group, a local non-profit organization to launch an exciting new program. This program not only allows you to securely and responsibly recycle or reuse retired mobile devices, it also benefits a local non-profit organization that empowers underprivileged youth with technology skills and the tools needed for IT careers. Quicksilver will place a branded locked bin on wheels at your location designed for the secure collection of retired mobile devices. Mobile devices include: Smartphones, tablets, notebooks, e-readers, laptops and cameras. Mobile devices may be company owned or you may have your employees bring their personal devices in from home. Quicksilver will schedule you for regular pickups. To protect your sensitive data, all mobile device’s memory will be removed and destroyed along with the device being factory reset on devices that are reused. 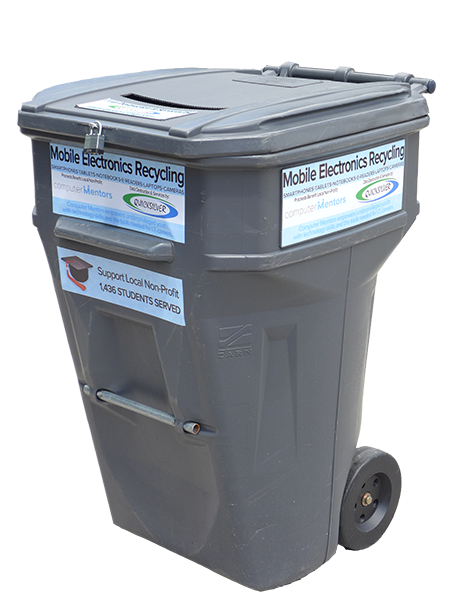 Quicksilver will responsibly recycle those devices that are damaged or obsolete. You will receive a Certificate of Recycling from Quicksilver along with a donation letter from Computer Mentors that can be used for tax deduction purposes.